Recently reading through some of my old journals, I’m amazed how God has given me a different perspective of past events and feelings. A true blessing that you, too, can obtain. Happy journaling! I enjoy teaching how to write fiction, stories as memoirs and, recently, how to transfer your thoughts through journal writing. I’ve been keeping a journal for 55 years. Some of my entries are written in colorful books with fancy covers, others in simple lined tablets. I find that writing in them helps me remember events and shows me things about myself that need improving or that increase my self-confidence. And what fun they are to read later as I recall past joys and sorrows, dreams and disappointments, challenges and conflicts. 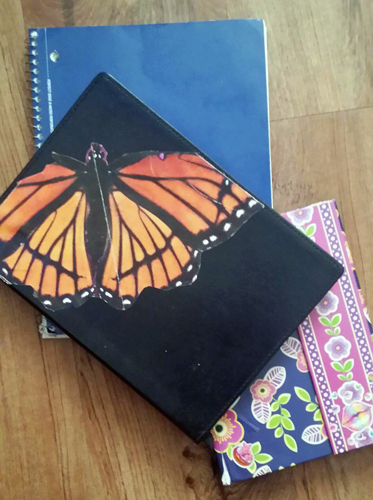 Journaling, or diary writing, has many benefits. This was demonstrated by a past experiment where a group of college students wrote in journals or diaries for 20 minutes each day. Their goal was to concentrate on unresolved problems and painful events they’d faced. This study seemed to show a link between their writing and their improved immune function. For six months they needed far less medical treatments than a similar group who wrote about unimportant matters. It may be therapeutic to put pen to paper about our anxieties, but it also helps to record the good stuff we’ve experienced. I read of a man who, intrigued about the above-mentioned study, began his own twenty minutes of daily writing. The difference in his writing is that he wrote letters to God. He wrote about his fears and worries, his sins of jealousy and resentments, his feelings of self-pity—things he wouldn’t dare reveal to a counselor, close friend or family member. He claimed he hadn’t become ill since. I also keep my journal as letters to God, and I include Bible reading. Therefore, many entries may record God’s promises from the Word, simple prayers of praise or repentance or pleas for understanding. I believe time spent on journal writing is significant. We may decide we don’t have time to sit for 20 minutes and think about what to write. Perhaps the length of time spent is what helps build our immune system because it involves meditation. We can all use a bigger dose of that. And focusing our mind on God and His Word always brings a more peaceful feeling. Lord, thank You for the opportunity and time to share our feelings on paper. As we record our hurts, bring healing. As we share our joys, rejoice with us. As we consider Your Word, reveal to us Your will, Your love and Your mercy. In Jesus’ name, amen.